Like a well-crafted wine, this brew has opened up on the nose in a matter of minutes. Trying to review from an unbiased perspective, as my birthstone is opal, this beer is complex and wonderfully layered in its palette. The electric yellow color invites you in. On the nose, a variety of citrus and spice taunt and the taste, wow. Incredibly effervescent then ranging from florals to spice on the finish. 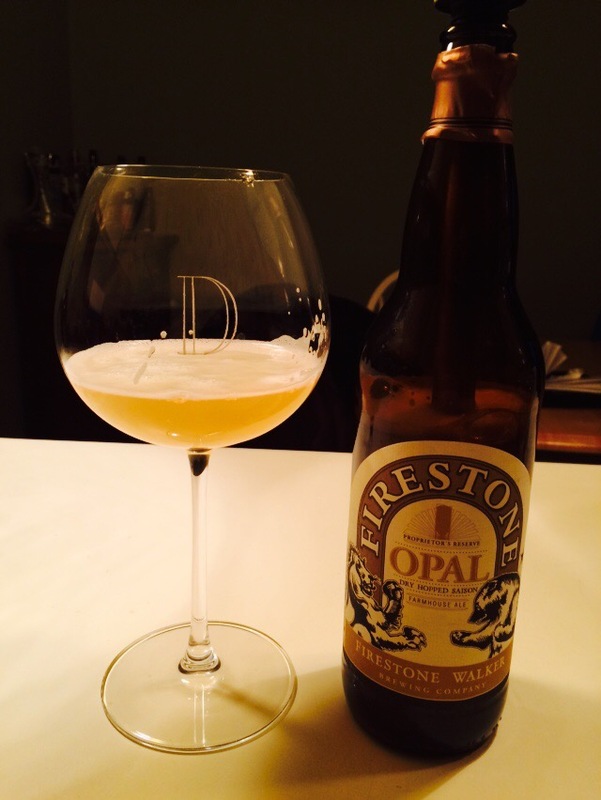 Firestone has once again tantalized our taste buds and taken a saison to another level. This entry was posted on February 10, 2015 by wineoh!006 in Uncategorized.